11Giraffes and Vital Media partner to provide hundreds of independent tire service centers and retailers a best-in-class automotive vertical digital media solution. Vital Media selected 11Giraffes to fulfill its dBoard® and dB TV digital signage solutions for hundreds of independent automotive service centers and other retailers across North America. The existing Vital Media digital signage network – including several hundred locations affiliated with a major international tire retailer – was transitioned to the 11Giraffes network within the past 30 days. The transition occurred without the need to recapitalize the existing network with new equipment. Vital Media can now expand its client base more rapidly by leveraging the scalability and efficiencies of the 11Giraffes software-as-a-service media platform, along with 11Giraffes affordable media player solutions. Vital Media content expertise will be made available via brand and automotive product video playlists through the existing 11Giraffes dealer network, creating a best-in-class automotive vertical digital media solution. “We are excited to announce that Vital Media is now more capable than ever of offering great experiences for our clients and their customers. This partnership will allow us to be even more creative and enhance relationships with our partners and clients.” said Wil Putt, CEO of Vital Media. Headquartered in Charlotte, NC, 11Giraffes provides a scalable, affordable, and innovative software as a service digital media platform, inclusive of signage and in-store music and audio messaging solutions. The company’s software and hardware products are distributed through a large North American dealer network who place these services in a wide range of industries including retail, hospitality, QSR/restaurant, assisted living, automotive, consumer financial, medical offices, country clubs, and c-stores. 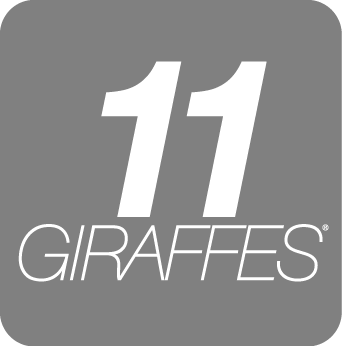 11Giraffes is committed to creating products that extend brands, deliver messages, and aid companies in communicating with their customers. Additional information about 11Giraffes may be found at http://11giraffes.com/. Vital Media® specializes in digital advertising solutions that help independent retailers increase customer transaction values, make the most out of every customer interaction and compete effectively against large, big-box establishments. Their proprietary dBoard® and digital Message On-Hold® solutions provide the strategic advantage of selling from the point-of-contact all the way to the point-of-purchase. Vital Media has active customers in all 50 states, Puerto Rico and Canada, and is the only national company focused entirely on full turnkey digital signage and Message On-Hold with an expertise in manufacturer endorsed Co-Op eligibility. The company has experienced three year growth of 473% by empowering independent retailers with global, strategic brand support to maximize their brand and sales opportunities with innovative advertising solutions. Vital Media has been recognized by numerous marketing and business associations, including the 2011 Charlotte Addy Awards, the Charlotte Business Journal 2011 Fast 50 Awards and the 2011 Inc. 5000 List. For more information on Vital Media, visit http://vitalmedia.com.